Unique, London based five-day programmes. Join us at our London training suite for a fully rounded experience where you will completely immerse yourself in the skills you have come to study. Our Senior Training Consultants will give you the tools and knowledge you need to become a master at Communications or Presentation. Our central and guiding focus is to constantly reinforce and develop your confidence by concentrating on what works about you and adding new tools and techniques designed to engage and stretch you. You will become stronger, more capable and more self-assured. You will see clear results and success after the five days. This is a challenging, five-day professional and personal development programme designed for you to take a serious look at yourself and your ability to communicate with flair and authenticity. It aims to make a substantial difference to your leadership, communication and relationship skills. The course is designed to equip you with the awareness, tools, confidence and energy to create the impact you choose, when you choose to create it. This programme gives you the opportunity to position yourself as a master presenter, fully in charge of the craft of presenting. These five intensive days will develop you into a definitive speaker, playing a pivotal role in the success of your organisation. You will gain a profound understanding of your personal style, why it works and how to harness that power. You will master the dynamics of structure and presentation and the ability to be original and stand out from the crowd. Impact Factory is located in the heart London. Visit one of the world's most iconic cities and participate in a unique training opportunity. 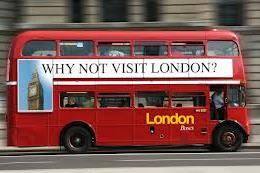 London is an exciting and innovative destination which attracts 20 million international tourists every year. Our London based training rooms are in the ideal location to give you the freedom to really make the most of London in your five days with us. "I still marvel at the session we did on working a room. Tina Lamb gave a lesson that made a huge impact on everyone there. And, by the way, she did it in a masterful way. It was a master class on master classes." "It was great to be in a place where emphasis was on positive feedback. Many people we encounter in our daily work focus in on the negatives and dragging people down which hardly gets your brain buzzing..."
"I can honestly say that in my twenty years of working life this course was one where I have taken so much away and learned a great deal about myself and my capabilities.. On other courses normally I would take away a binder full of copied presentation slides!!! " If there are any areas of the Elite Courses that you would like to discuss, please do not hesitate to call us: +44 (0)20 7226 1877. We will put you in touch with one of the Lead Trainers, who will be happy to access the suitability of this course for you. London Training Rooms : Suite 121, Business Design Centre, 52 Upper Street, London N1 0QH. See how to find us for directions, hotels and public transport.